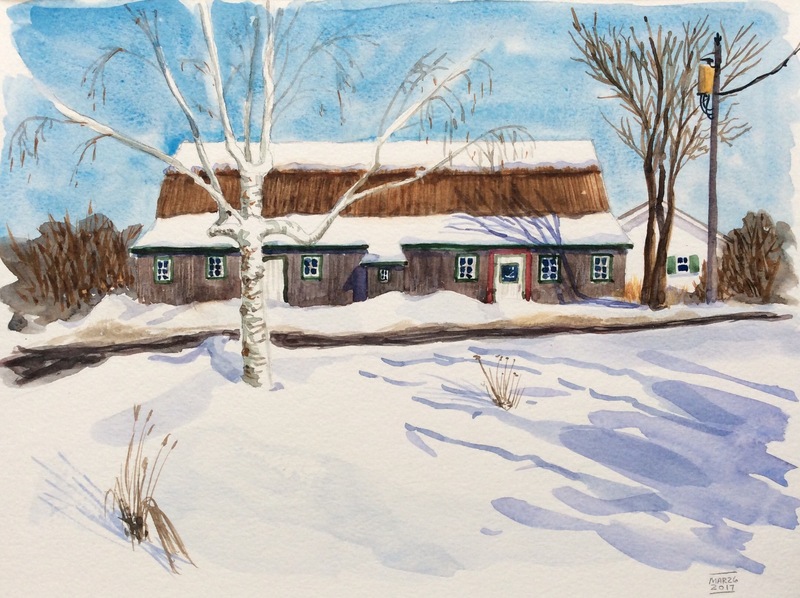 I missed the UskMontreal outing yesterday due to anticipated freezing rain that never came. However, I was able to take advantage of the sunny morning to sketch the view across the street. Lessons learned: I want to be able to paint the clear blue sky, but I don’t like the granulation of the cerulean blue in the sky. I have since learned that multiple washes will remove this effect, but that would not have been practical here where I had white branches to avoid. I look forward to trying out frisket which would have been useful for this scene. Also, I like to paint while standing. Next: Next post: Yellow shape, green shape. And repeat.